I love natural makeup, which means that every time a favorite brand releases a new CC cream, I have to try it out! 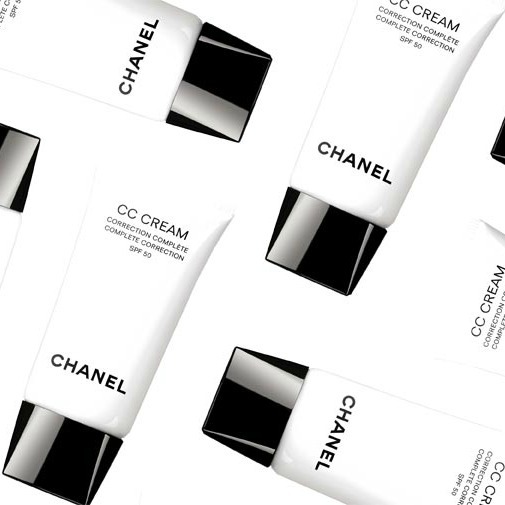 Chanel’s latest CC CREAM touts “5 superpowers” — evens, moisturizes, corrects, protects and illuminates. 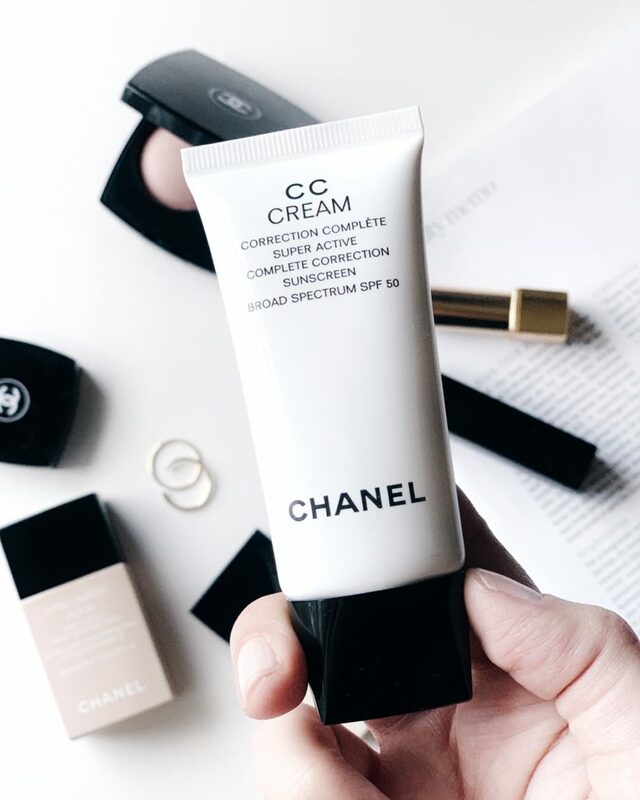 The CC CREAM combines skincare benefits with lightweight coverage and SPF 50 protection (probably the aspect I’m most excited about). Over time, the formula is supposed to help reverse signs of aging and improve skin’s texture. The cream feels very nice, hydrating, smooth and is lightly scented. The finish is somewhat radiant, but I find it’s not too much so. It’s not greasy either. I definitely think that using a setting powder makes it look even better… I’ve been using the HOURGLASS SETTING POWDER, which is my fave. Using my fingers, I apply it onto my skin, and then do a quick pass with a damp beauty blender to really help the formula sink in. You guys know I used the LES BEIGES formula all summer and I would say, compared to that, CC CREAM has a bit more coverage, feels a bit more viscous, making it more ideal for this time of year. Unfortunately, there are only 5 shades available — mine is 20 Beige. Hopefully they’ll expand the line soon. 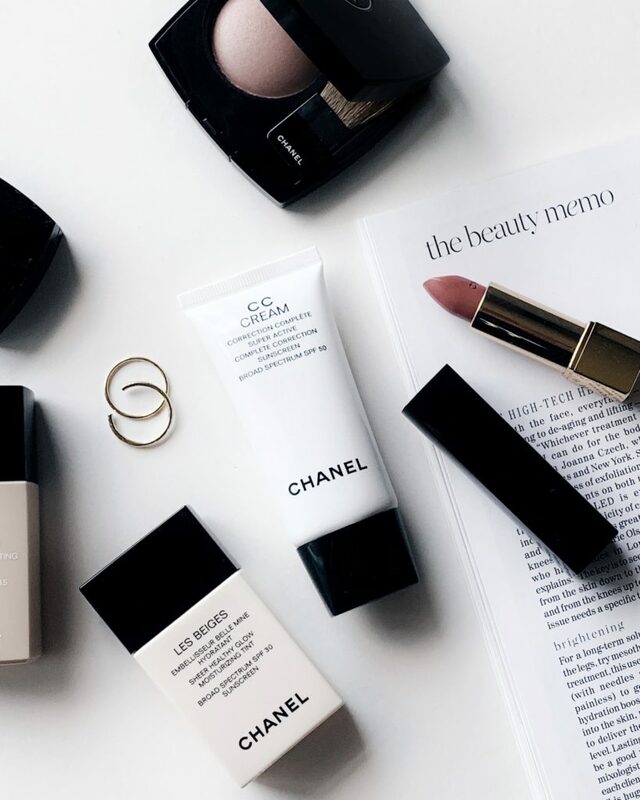 Overall, I’m loving this cream… the only down side, the $55 price tag. 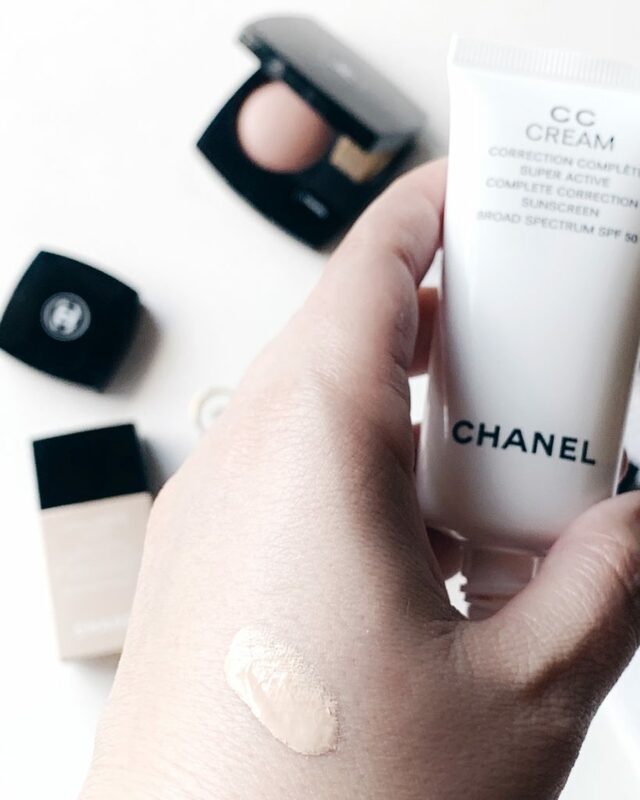 Tip for us on the fence buyers: a before and after of the cc cream to see coverage and radiance. You got it! Will do that on Instagram this week!